Major New Space Facilities Are Opened In The U.K.
[SatNews] Another boost has occurred for the UK’s £11.3 billion space industry as two new space facilities are opened at the UK Space Gateway in Oxfordshire. The inauguration day for the multimillion pound space facilities was also the backdrop for the first contract signed from the new European Centre for Space Applications and Telecommunications (ECSAT)—a 180 million euros contract between ESA and Eutelsat for the first of an innovative class of geostationary communications satellite to be primed and manufactured by Airbus Defence and Space (ADS) in the UK using flexible payload technology and a new platform from Surrey Satellite Technology Ltd. (SSTL). 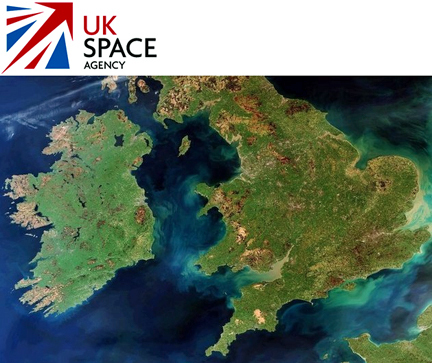 Space is a great British success story and the partnership between Airbus Defence & Space, ESA and Eutelsat to build cutting-edge telecommunications satellites here in the UK is testament to that. This investment in collaborative space science means the UK has the know-how and technical expertise to provide exciting and innovative space solutions that will drive growth and create jobs. ESA’s UK facility, ECSAT, has been developing steadily since 2008, following the UK government’s decision to increase its contribution to ESA. Named after ESA’s British first Director General, Roy Gibson, ECSAT’s new building will host 120+ jobs including teams in telecommunications and integrated applications. Special emphasis will be put on the development of new markets for satellite-based services and applications. In addition, new satellite, ground infrastructure and product developments are being initiated through original schemes of public–private partnerships with world-class operators. 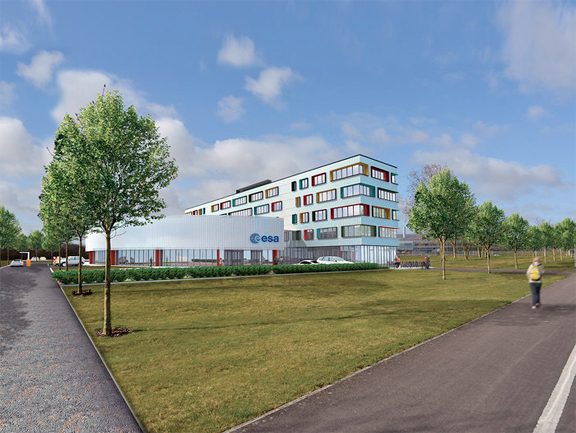 The building will also house the Earth Observation Climate Office, Science and Exploration teams and Technology and Quality Management teams supporting ESA research and development programs in the UK, focusing on ‘game-changing’ technologies and capabilities. RAL Space’s R100 building is a major expansion of their test facilities; including two new 5 meter diameter Space Test Chambers along with a vibration facility, clean rooms and AIV (Assembly, Integration and Verification) control room. These enhanced facilities will be used for important future projects including ESA’s Sentinel 4 mission as part of Europe’s Copernicus programme and solar and heliospheric physics with the Solar Orbiter mission. Phase Two of the development is currently expected to be completed by June 2017. Quantum is a public–private partnership between ESA and telecom satellite operator Eutelsat. The first Quantum satellite—planned for launch in 2018—will be primed and manufactured by Airbus Defence and Space (UK) and use a new platform by Surrey Satellite Technology (UK). The partnership is supported by strategic investment from the UK Space Agency through the European Space Agency’s advanced telecommunications R&D program.